This entry was posted in Haiku 2015, Photographs, Poems 2015 and tagged weather. Bookmark the permalink. 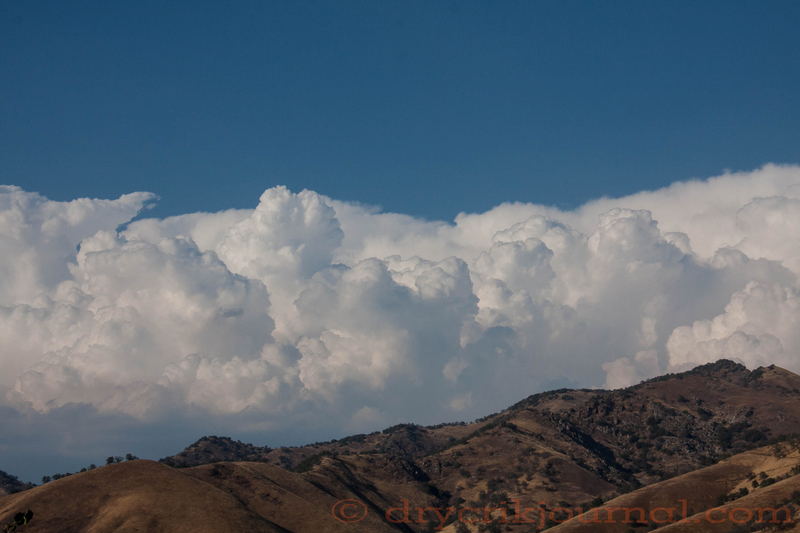 I so miss the magnificent cloud formations of the valley and Sierra foothills. THe sky is boring here. I long for clouds daily…. Saturday was the last hurrah for the remnants of Hurricane Blanca in our Sierra Nevada backcountry. I understand that by Sunday in Three Rivers, the Kaweah was too muddy for a swim. How I wish I could gift you with some of the excessive amount of rain we’ve had in the last several days. My walking park is flooded and looks to be that way for some time. Quite a mess in some places!